Just where and how life began on earth is uncertain—deep sea vents, tide pools, and hot springs all provide rational explanations—but water was certainly involved, and as single-cell organisms gave way to more complex forms of life, seabirds occupy an intriguing rung on the evolutionary ladder because they’ve happily settled at the nexus between two worlds—land and sea. Fascinating creatures, birds like albatrosses, frigatebirds, shearwaters, and puffins fly or swim out to sea for weeks, months, and sometimes years at a time, and we have little understanding of what they do out there. Until now, that is, thanks to great leaps in tiny sensors and geolocating equipment. 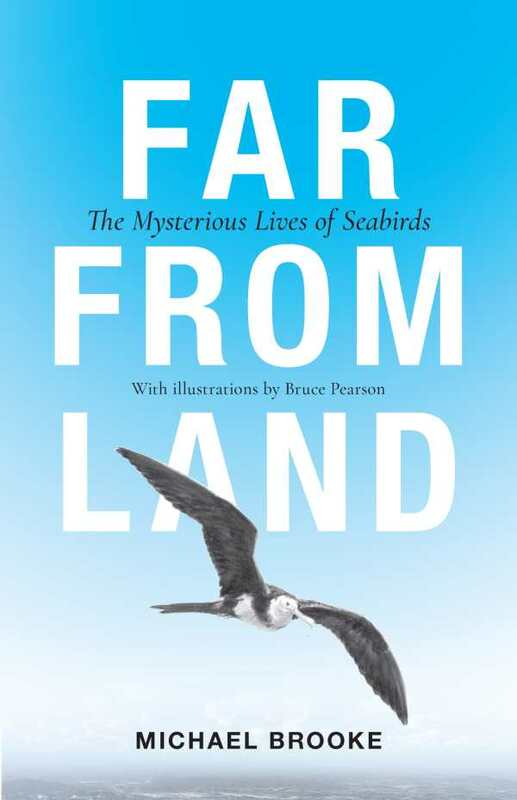 Ornithologist Michael Brooke has spent a lifetime tracking, trapping, and pondering the lives of these elusive creatures, seeking to understand, for example, the adolescent years between hatching and returning to the colony to mate, when petrels and penguins roam the open ocean for several years without touching land. The research is all the more difficult due to the wild and remote islands these birds choose as nesting sites. Brooke’s storytelling skills are first rate, and artist Bruce Pearson’s illustrations only further the mesmerizing quality of this project.